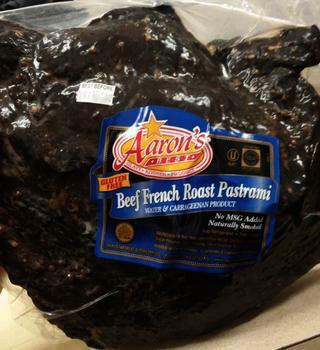 Agri Star Meat and Poultry of Postville, Iowa, is recalling approximately 3,592 pounds of ready-to-eat beef pastrami. Processing deviations may have led to underprocessing of products and resulted in inadequate curing. The recalled products, bearing establishment number “EST. 4653A” inside the USDA mark of inspection, were shipped to distributors in California, Florida, Illinois, New York and Washington. Consumers with questions about the recall may contact Lisa Beatty at (563) 864-7811 or Yaakov Labowitz at (514) 648-8171 ext. 260.